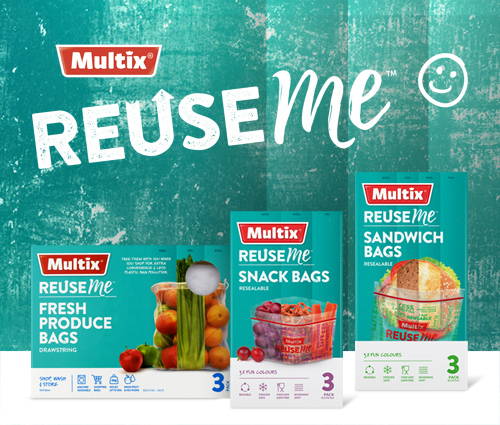 At Multix we want to make it easy to choose household products that reduce the impact on the environment. Our new range is the first step towards a greener future. A range of smart reusable versions of what otherwise disposable single use household products, this is a step in our journey to help reduce plastic waste and landfill. 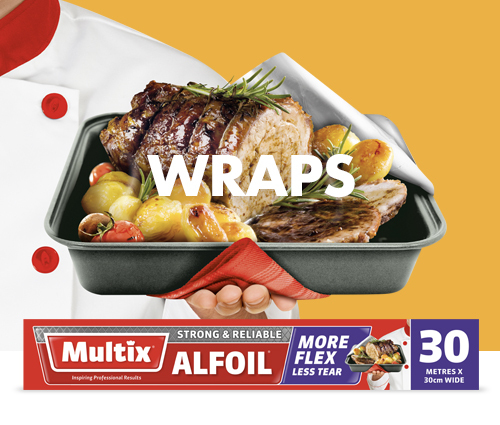 An extensive range of alfoil, non stick bake, cling, greaseproof paper. 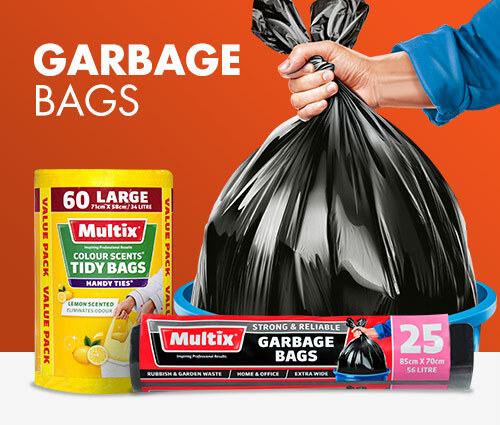 An extensive range of colour scented kitchen tidy bags, tidy bags, garbage bags, garden bags, council bin liners. 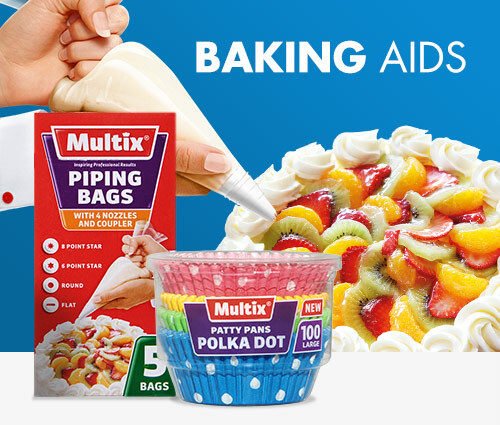 Create masterpieces with the Multix range of piping bags, muffin cases, patty pans and non stick bake. 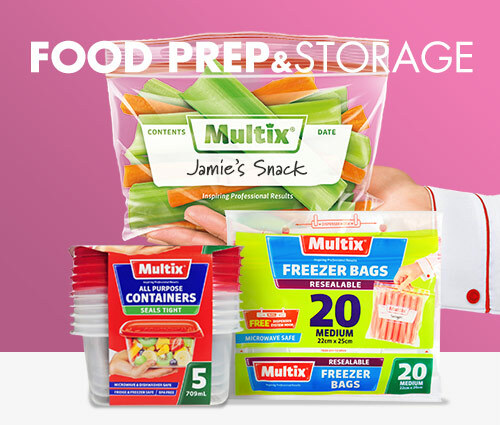 Sandwich bags, snack bags freezer bags, containers, and roasting trays.